Pera Museum's new concert series "A Capella at Pera" continues with the performance of Barbershop Istanbul. The concert of the band will be held on Feb. 16. Before their concert, Barbershop will mention their music genre, a capella, at the "Conversation Session," which is being held for polyphonic music lovers with a limited number of attendees. Featuring Turkish State Polyphonic Choir's principal conductor Burak Onur Erdem as the art director, Pera Museum will present the second performance of the "A Capella at Pera" concert series. In this concert, Barbershop Istanbul, which was formed by Onur Zorluuysal, Erdinç Hasılcıoğulları, Kaan Bayır and Enis Turhan in 2013, will perform a capella music. 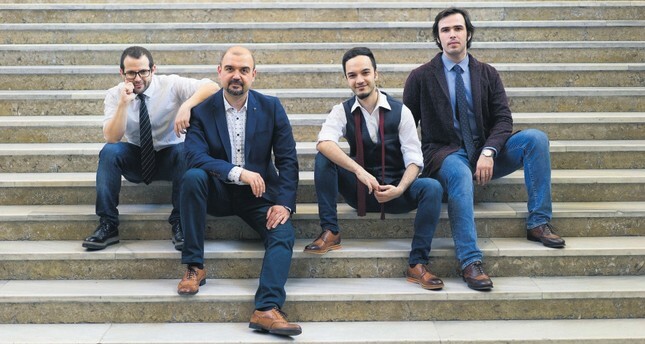 They are the first leading band in Turkey that comes to the forefront as the first vocal quartet of barbershop genre. They are also the first member of the Barbershop Harmony Society, the biggest society of this music genre, which has American origins, in Turkey. Before the concert, Barbershop will elaborate on the origin, harmonic structure and performance of a capella music in barbershop genre at the Conversation Session. They will also mention the differences of it from classic a capella. At the "A Capella at Pera" concert series, Georgian Art House Polyphonic Choir will perform on March 23 and REZONANS will take the stage on April 13. Additionally, SİRENE will give a concert on May 18.